Brazilian director Walter Salles helms this adaptation of the iconic novel by Jack Kerouac that defined the Beat Generation. 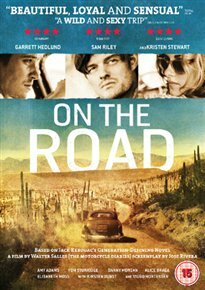 Sam Riley stars as Kerouac’s self-styled protagonist, down-and-out intellectual Sal Paradise, who takes to the backroads of America with his free-spirited friend Dean Moriarty (Garrett Hedlund) in a frantic odyssey fuelled by jazz, poetry and drugs in search of the ‘it’ at the heart of life. Viggo Mortensen, Kristen Stewart, Kirsten Dunst and Amy Adams co-star.